This article discusses activities carried out in the virtual world of Second Life (SL) as part of a compulsory class in the first year of an undergraduate programme. The paper identifies the contribution of SL to the students’ learning environment and an Inquiry Based Learning (IBL) approach to programme design. The reasons for taking an IBL approach are explained in relation to institutional and disciplinary goals. 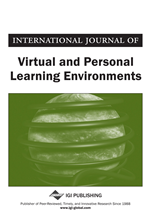 The paper reflects on the contribution of the three key learning environments—the classroom, WebCT and SL—to students’ learning. SL is evaluated in relation to a conceptual framework of IBL. It is concluded that SL has made a contribution to students’ achievement of learning outcomes from the class, and has facilitated the development of students’ inquiry skills. In conclusion, further avenues for developing research and teaching are identified. The context for the research reported here is a class, Information Literacy, which is core in the level one (freshman) year of the B.Sc. Information Management (IM) degree offered in the Department of Information Studies at the University of Sheffield. The number of students taking the class is 20-30 each year. The overall aims of the class are to develop students' information literacy skills in key areas and to enhance their understanding of information literacy and information behaviour theories. The class is worth one-third of the credits in the first semester. Additionally, the class is designed to develop students’ inquiry skills so that they can engage with mini research projects carried out the following semester (Cox et al., 2008a), with the ultimate goal of conducting individual research projects in their final year. The Information Literacy class also contributes to the progression of other key skills e.g., group work skills. The author had identified that the teaching and assessment strategy for the class was not enabling students to demonstrate their grasp of information behaviour theory, which had been assessed primarily through an academic essay. This had led to the reproduction of information rather than evidence of ability to apply and understand the models. IBL was seen as a means to engage students more meaningfully with the models. SL provided an environment in which data gathering could take place, providing students with unique data, to which they could apply their understanding of the models. Thus the aims of the action research were to facilitate deeper engagement with the subject matter, and to identify whether SL itself was a viable environment for IBL. This article reports on the delivery of the Information Literacy class in the 2007/8 and 2008/9 academic years.